For some reason, the fifth inning has stumped Ivan Nova recently. Keep in mind, six of those fifth-inning earned runs came in one start. He’s 23 years old, which is not that young, and he didn’t have this problem in Triple-A. I think he gets overconfident and loses his focus. And I don’t blame him! He has quieted one of the best offenses in baseball, the Rays’, for the first four innings twice in a row! I’d be ecstatic and probably forget where I am. But if I’m Joe Girardi, I continue to throw Nova into the fifth. If he doesn’t let him conquer his “fears” now, then when? Now is the best time, as a playoff berth is only a few wins away. In my latest poll, fans voted they were most scared of facing the Rays in the playoffs. Neither the Twins nor the Rangers received many votes. I sided with the fans this week. The Rays were the only team listed that has a deep starting rotation. It’s really hard to compete when you don’t have answers for David Price and Matt Garza. If the season ended today, the Yankees would face the Rangers in the first round and have home field advantage until the World Series (if they get there). The Rays would face the Twins. Just for kicks, I’m going to look into the National League for minute. The Phillies, Braves, Reds and Giants would be in the postseason, but the Padres are fighting desperately for a spot. My preseason World Series pick of Yankees vs. Giants is still intact, but I’m starting to think the Phillies are too good once again. Next poll: Who deserves their award more? CC wins 20th, but should he win Cy Young? CC Sabathia won his 20th game of the year last night against the Orioles, the first time he’s accomplished the feat in his 10-year career. However, what do wins even mean toward the Cy Young voting? The fact is, pitchers can’t win games by themselves. If a starter throws 20 innings of shutout ball in a game, but his offense doesn’t give him any support, he won’t pick up the W.
Wins come down to run support. It’s not the only thing, but it plays a major factor in whether a pitcher earns the win or not. This is why Sabathia will not win the Cy Young this year and Felix Hernandez will. There you have it. And with a little mathematics, assuming each starter had the same run support (4.575, the mean), Sabathia winds up with 15 wins and Hernandez gets 17. Wins should be disregarded in the Cy Young voting. Yes, something can be said about a pitcher’s ability to win games, but a pitcher’s ability to limit the number of times the opposition scores is the biggest key. The Yankee U’s Steve S. wrote a great piece on why the Yankees should not overextend themselves to win the division, and Brian Cashman added to Steve’s point yesterday. Then Cashman pointed out that the health of Brett Gardner and Nick Swisher for the postseason is more important to the Yankees than winning the division. As Steve suggested, facing either the Twins or the Rangers will be a tough task. If I were the Yankees, I would rather face the Rangers — I didn’t think last series was a good preview for a postseason matchup — but not by much. Why are the Yankees playing tonight and not today? Only one day game on a Saturday is awful. The Yankees couldn’t afford to lose the series opener against the Orioles. Baltimore closer Koji Uehara was one strike away from a 3-1 win, but with a quick turn of the hips Alex Rodriguez made it 4-3. Then Mo handled his business. I think you get the picture. Best of All: The ninth-inning blast was A-Rod’s second of the game, giving him 25 for the year. He needs five more in the 15 remaining games to give him 13 consecutive years of 30 homers and 100 RBIs. Nobody’s ever done that before. Ever. A.J. Burnett wasn’t bad A.J. I’ll take 7 IP, 5 H, ER, BB, 6 K out of him any day of the week. Worst of All: Mark Teixeira went 0-for-5 with a couple of K’s. That’s about it. Coming Up: Game 2 is Saturday night featuring CC Sabathia in search of his 20th win of the year. The Yankees are currently in their worst stretch of the year. They’ve lost eight of their last 10, two of which coming against the team they play tonight, the Orioles. This three-game series is the easiest part remaining on New York’s regular season schedule, but not by much. The Orioles have been a different team since ex-Yankee manager Buck Showalter came into power. You probably aren’t going to believe this, but the Orioles have won 63.4 percent of the 41 games they’ve played under Showalter’s management. The O’s are still in last place by a longshot, but who knows how far out they’d be if it weren’t for Showalter. The Yankees are 12-4 against the Orioles this season, and this series is their final meeting. Roster Notes: Brett Gardner is back in the lineup, Nick Swisher is out and Romulo Sanchez was called up. The Yankees have their rotation setup for a sweep, and I think they’ll get it done. Saturday and Sunday will be very exciting, as Sabathia vies for his 20th win and Pettitte returns for his first start since July 18. This is the news we all knew would come one day. Joe Torre and Don Mattingly have confirmed the report. Mattingly’s managing days will begin April 1, 2010 against the Giants. But I’m sure he already knows that. Torre is 70 years old and a sure Hall of Famer. Mattingly is still young and finally has an opportunity to head a club. I hope one day Mattingly can manage the team that drafted him when he was 18 years old and the team he will always be known for, Hall of Fame or not. I don’t think Torre will manage again and I look forward to watching Mattingly at the helm next season. When Brian Cashman acquired Kerry Wood this trade deadline, Jon Heyman posted at tweet that now makes him look like a genius. At the time, I doubted Heyman’s use of “great.” I was dead wrong. Wood has been nothing short of great with the Yankees, allowing just one run over 20-2/3 innings (0.44 ERA). The rest of the bullpen has followed Wood’s lead since the All-Star break. A great bullpen is often the key to postseason success. But the Yankees’ starters and offense will have to hand the bullpen the lead in order for the bullpen to be successful. No starter on the Yankees is pitching great right now. Sabathia and Pettitte are clearly the most reliable on the staff, even though Pettitte hasn’t pitched since July. The rest of the staff is too inconsistent to favor one over the other, so why not use tag-teams? Originally, I didn’t think Ivan Nova would make the postseason roster, but now I do since Damaso Marte is out for the year. This likely leaves the Yankees with four unused starters for Games 3 and 4 (A.J. Burnett, Phil Hughes, Javier Vazquez & Nova). I say Joe Girardi should pair Burnett and Hughes for Game 3, and if the Yankees are ahead in the series go with Vazquez and Nova for Game 4. If they’re behind, bring back Sabathia on short rest. Ideally, they’ve already won and Sabathia can start Game 1 of the ALCS, but let’s not get ahead of ourselves. The one thing I don’t want to see Joe Girardi do is use one of the Yankees starters late in a game (unless it’s in extras). Why? Because the Yankees’ bullpen is the best in the American League, and lately, the best in baseball. Girardi: Pettitte to start Sunday. Is he the Yankees’ savior? Now we can all take a deep breath. Joe Girardi has announced the rotation for this weekend in Baltimore. The Yankees are 30-24 (.555) since Pettitte hit the DL. With Pettitte healthy, the Yankees were 50-33 (.602). I don’t think he’s completely the reason for the dip in winning percentage, but his absence did contribute a lot. Not only did the rotation take a hit when Pettitte was gone, but also the bullpen. The bullpen has been very good, but I wouldn’t exactly call them fresh for the postseason. Pettitte had posted a phenomenal year up until the injury, going at least six innings in all starts except three before injuring himself July 18. He had nine starts of at least seven innings, and he completed the eighth four times. The Yankees have been extremely cautious with Pettitte’s rehab, a strategy I agree with, and I think he’ll be back at full strength Sunday. Is he the Yankees’ savior? He could be. If he has another postseason like last year, he will be. If it weren’t for a base-running mistake by Carl Crawford, the Yankees could have lost game in which they had a 6-0 lead and fallen a game-and-a-half out of first place. Ivan Nova cruised through the first four innings using 50 pitches last night, but the third time through the order he fell apart. He allowed five of his six hits in the inning, including a first-pitch homer to Carlos Pena, a double and three singles. It would’ve been extremely impressive for Nova to complete five innings of shutout ball against the second-best team in baseball. I wonder if he had a different mindset pitching with a six-run lead. I knew I would. However, I usually felt more comfortable with a lead and was less likely to lose my stuff. Well, that’s not all you need to know. Joe Girardi hasn’t announced Sunday’s starter yet, and that’s really what it comes down too. “That's something we'll have to discuss, see how he feels,” Girardi said. News broke last night that the Yankees will start next season at the new Yankee Stadium for the first time in its existence. They’ll face the Tigers March 31, and then finish the season at Tropicana Field to face the Rays. The Yankees first series on the road, April 8-10, is at Fenway Park. Their schedule at the end of the year popped out me the most. Their last eight games are against Tampa Bay (5) and the Red Sox (3). Still, it’s not quite as harsh as the September and October the Yankees are trying to survive through this season. 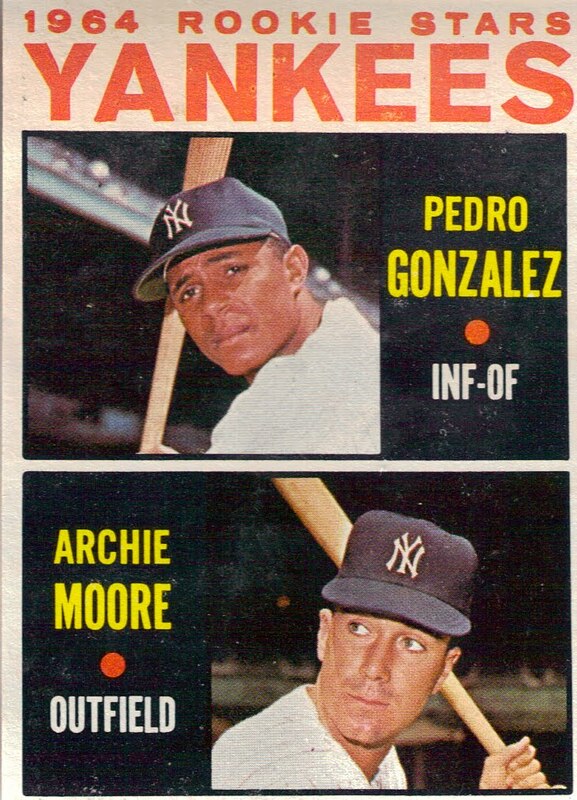 You probably haven’t heard of the two Yankees on the card shown above. The Yankees signed both Pedro Gonzalez and Archie Moore as amateur free agents, but neither had successful careers despite being dubbed “Rookie Stars” by Topps. Moore played 40 games over the 1964-65 seasons, hitting just one homer and driving in five runs. Gonzalez had a stronger career, but the majority of it came with the Cleveland Indians. Keep in mind, I’ve been running this series of old cards all summer. I’m getting near the bottom of my stack, but I still have a few more. Tonight marks the start of a tough stretch of games the rest of the season for the Yankees. This weekend they play three in Texas, the AL West leader by 7.5 games, and it doesn’t get much easier after that. If the season ended today, the Yankees would play the Rangers in the Division Series. This weekend’s series won’t be a very helpful precursor, however, because of the pitching matchups and the absence of MVP candidate Josh Hamilton. The Yankees swept the Rangers back in April and split a two-game series in August. This series will be their final matchup of the season, but could meet again in the postseason. The Yankees don’t have their best pitchers lined up for this series and I think that will really hurt them. I bet they’ll win a game for Burnett tomorrow, but it’ll be tough to find offense against Wilson and Lee. This question came up a few days ago in an RAB mailbag, and writer Mike Axisa said there was “zero” chance of Derek Jeter retiring after this year. I begged to differ, so I commented. Why are you discounting the idea Jeter could retire after this season? At what point in his career has he hinted he cares about personal milestones? He has five rings. I’m not saying he should or will retire, but I’m giving it more than a zero percent chance of happening. The only responses I got were along the lines of, “Who would walk away from 3,000 hits and $50 million?” My response: Judging by the way Jeter has always talked with the media, I think he could care less about those two big numbers. By the way, that $50 million estimate might be about right for three years, according to an AL Exec. SI’s Joe Posnanski analyzed Jeter’s future recently, hitting on three major points: money, position, lineup. Check it out. Dave Cameron at Fangraphs wondered if Jeter will have a comeback season next year, never even mentioning retirement. Nobody seems to think he’ll retire, but why isn’t anyone bringing it up as a possibility? He’s got what he’s always wanted: a handful of rings. He has more money than God, but he’s not one to be greedy. Can you imagine Jeter asking for more money than the Yankees offer in contract negotiations this offseason? He’d tarnish his own reputation of being a selfless player all about the team winning. I can’t believe he would do such a thing. I think if he believes he can’t help the team win anymore, he’ll retire. That just sounds like something Jeter would say. I think Jeter’s image is who he really is. I really don’t know what to make of this either, but I know for certain he will never play with another team. He’ll either get an extension or retire. For now, I’ll say he comes back for $50M/3 yrs, but I wouldn’t be shocked if he retires. Neither should you. What do you think will wind up happening with the captain? I think it’s safe to say the reason why MLB.com wasn’t able to provide the box score right after the game was because Nick Swisher pied it. Yes, Swisher was pied today. He hit a two-run, walk-off blast in the ninth to lead the Yankees to a 3-2 win over the Orioles. Baltimore was just two outs shy of sweeping New York. Best of All: Ivan Nova pitched well enough for a win, but didn’t get the run support: 6 IP, 6 H, 2 ER, 2 BB, 6 K.
The bullpen did a really nice job of holding the Orioles to two runs. A lot of times in the past we’ve scene the bullpen allow one extra insurance run late and that comes back to haunt the Yankees. Today, that didn’t happen and Swisher made the bullpen look like champs. Worst of All: It would’ve been awful if the Orioles had swept the Yankees at home. It hasn’t happened since 1986. 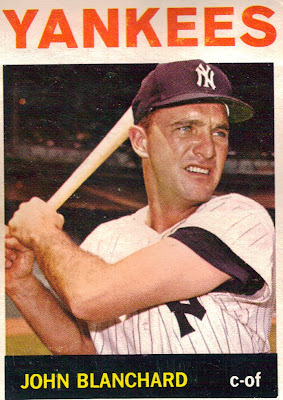 The Yanks only had four hits and six base runners off Brad Bergesen. Really? Coming Up: Three runs won’t be enough this weekend, as the Yankees head down to Texas for a three-game series. My dad used to always tell me Clete Boyer was one of the best defensive third basemen of all time. 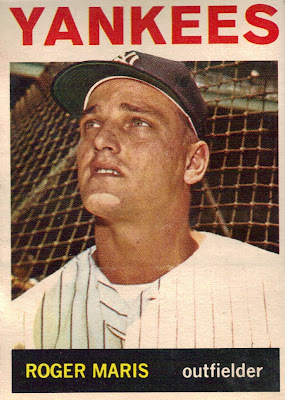 He may always be remembered for his two plays in the 1961 World Series in which he dove to stop the ball and threw out the runner from his knees. 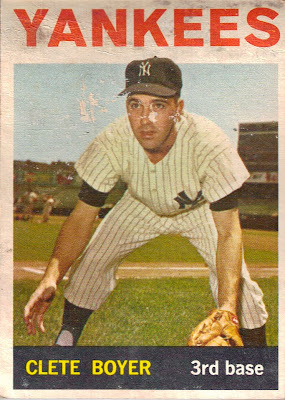 But Boyer only won one Gold Glove, and that came in 1969 with the Atlanta Braves. 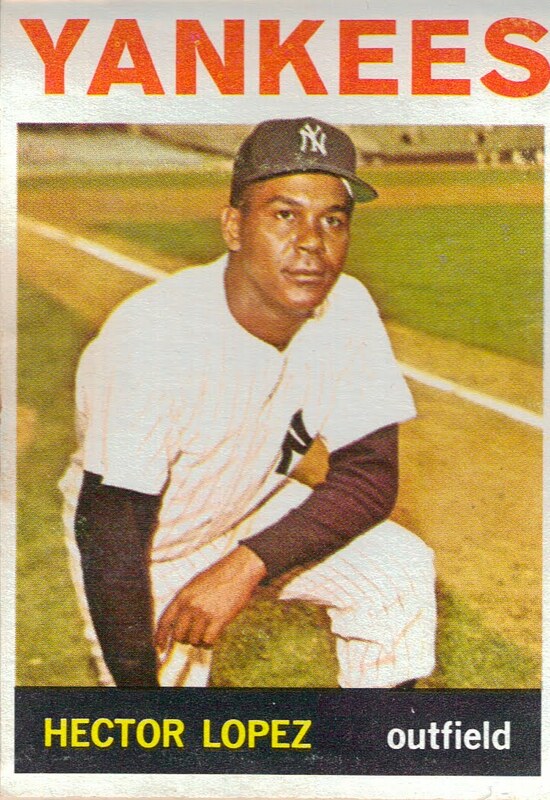 He did have one solid offensive season, also with the Braves, in 1967, but his career OPS+ of 86 says it all. Sports Illustrated writer Tom Verducci just posted a convincing argument for adding another wild card to each league, creating a “Wild Card Elimination Game” in which the loser goes home and the winner advances to the Division Series to play the team with the best record. One of the points he made that I strongly agree with was the Yankees and Rays aren’t in any real race right now, but they could be. Sure, one team will get to play the wild card, but both teams can choose to rest their players with the comfort of knowing they’ll play a five-game series. Add another wild card spot in each league and the Yankees and Rays will fight hard to win the AL East and avoid a one-game, sudden death playoff. That’s the only counterpoint I can think of, and I don’t think it’s very strong. As Verducci mentions, baseball has lacked tight playoff races, win-or-go-home games and good TV ratings down the stretch. One-game playoffs are more exciting than five- or seven-game playoff series are. I’m not advocating all playoff series should be one game, but a couple extra guaranteed March Madness-style games each year would add a lot of excitement. What do you think? Is Verducci on to something? Or is there too much at stake for one game in a 162-game season? I was tagged in this photo on Facebook! Alex Rodriguez homered in his second game back from the disabled list, but the Yankees fell to the Orioles, 4-3, on Labor Day. Best of All: A.J. Burnett wasn’t awful. But he wasn’t great either: 7 IP, 7 H, 4 ER, 4 BB, 5 K. It’s enough to keep him in the rotation in September, but it’s not helping his chances for making the playoff rotation. Worst of All: The Yankees only had five hits off the Orioles, none of which off their bullpen. That is a terrible against one of the worst bullpens in the league. Coming Up: CC Sabathia goes for win No. 20 tomorrow night. His career-high is 19. Speaking of CC, Cliff Corcoran (also CC) believes big CC is the frontrunner for the Cy. You might have to read that again. The Orioles are in town for a three-game series against the Yankees this week, starting in about 15 minutes. Before the season started, I’ll admit that I thought the Orioles would come out of the gates strong. Boy was I wrong. I think they’ve been in last place just about every day this season. The Yankees are 86-51 and the Orioles are 51-86. Need I say more? The Yankees have had a great year against the O’s, going 10-2 against them in a span of about six weeks in the beginning of the season. After this series, the Yankees head to Baltimore next weekend for their final meeting. Lineup Notes: Nick Swisher is finally back in the lineup after being a late scratch two games in a row. I predict a sweep. If Burnett can’t figure it out against the Orioles, what are the Yankees going to do with him? Fans couldn’t decide whether A.J. Burnett belongs in the rotation, according to my latest poll. Burnett starts tonight against the Orioles, but nobody knows what to expect. In his past 10 outings, he’s posted three starts allowing more than six runs as well as three starts allowing one or less. I can understand why the poll wasn’t definitive; I couldn’t tell you if he belongs in the rotation. I don’t think a decision to remove him can be made until Andy Pettitte returns and Javier Vazquez makes a couple more starts. New poll: Will Francisco Cervelli hit a homer this year? Alex Rodriguez returned to the field and lineup on his first day of eligibility, but the Blue Jays slugged three homers off Phil Hughes en route to a 7-3 win over the Yankees. The loss snapped an eight-game winning streak. Best of All: A-Rod went 2-for-5 with an RBI in his return, inching closer to the 100-RBI plateau (98). Brett Gardner and Ramiro Pena added two hits apiece; Gardner added a sac fly and Pena scored a run. Worst of All: Hughes allowed two homers on 0-2 counts and the third came on a first-pitch cutter. Derek Jeter and Curtis Granderson each went hitless in four ABs. Coming Up: The Yankees stay at home to host the Orioles to start the week and will visit Texas over the weekend. Yesterday my roommate and I went to the Yankee game. Marcus Thames’ two-run homer propelled the Yankees to a 7-5 win over the Blue Jays, which extended their winning streak to eight. It was a great game, don’t get me wrong, but I think the story of getting to the game from Quinnipiac University in Hamden, Conn., was a little more entertaining. As you probably know, I interned for a digital marketing agency called EIC in New York City over the summer. Toward the end of the internship, my boss, mentioned the possibility of getting Yankee tickets via a connection at Time Warner Cable. I emailed the person we knew there and told him what games in August I could go to (assuming I’d go with one of my co-workers). He didn’t get back to me until Thursday, but he responded with good news. He dropped off the tickets with my boss and he told me I had to pick them up before 8 p.m. Friday. Since I was at school, my only option was for one of my sisters living in the city to pick them up. Of course, my older sister helped me out; yes, this one. Little did I know the trouble that lay ahead. But first, there was another conflict. At 11:41 a.m., while my roommate and I were just entering Manhattan to pick up the tickets and park the car, my dad called me with some frightening news. “I tried going to your site and it says your blog has been removed.” I thought it was a browser problem or my dad typing in my old blogspot URL. But when I checked on my roommate’s iPhone, I thought I was in for the worst day of my life. I had checked my site before I left for the game and everything was fine. The last thing I did, however, was add the Twitter gadget so fans could follow me tweets live from the stadium. I’m pretty sure that’s what set off the alarm to Blogger, my site’s host. Still in the car, I tried logging into Blogger and was greeted with a message saying they had picked up suspicious activity on my site. Thankfully, all I had to do was verify a few personal details and my blog was back. My roommate dropped me off next to my sister’s apartment to pick up the tickets while he parked the car. It’s 12:30 at this point; we knew were going to be a little late. I buzzed the room. No response. I buzzed again, and again, and again. Still nothing. Last year for the World Series parade I had planned to stay over at my sister’s house to get a few hours of sleep. She didn’t answer and I spent the entire night out in New York City. When my sister wasn’t responding to my calls, I thought I was in for an awful day. We boarded the 4 train only to find out it was NOT running express to Yankee Stadium. This made us even more late. What more could go wrong? For some strange reason, my roommate still hadn’t asked where our seats were. Little did he know, we were sitting in section 110, 13 rows from the field. I asked him about the tickets and he said, “Are they bleacher seats?” I gave him his ticket and he stared at it for a few seconds. Then his smile lit up the subway car. We spent the bottom of the eighth inning anticipating Mariano Rivera’s entrance. When he came out, the stadium went berserk. The famous Freddy makes his way up the aisle giving fans a chance to ring his bell. Mo got the last out, and my roommate and I saluted him. For more photos from the game, check out my blog’s Facebook page. Thanks again, Sanford and Rick, for hooking me up with the great seats! The Yankees had a peculiar lineup today, but it didn’t affect the expected outcome lately. Without Derek Jeter, Nick Swisher or Alex Rodriguez, the Yankees powered their way past the Blue Jays to a 7-3 win. Best of All: Curtis Granderson had his third two-hit day in a row and has six RBIs in his last two games. Brett Gardner reached base and scored three times. Worst of All: Robinson Cano missed out on the hit parade, as he posted an ugly 0-for-5 line. Ivan Nova finished an out shy of his second straight win. Joe Girardi wasn’t that impressed with his stuff today, saying he ran into a lot of three-ball counts. Nova’s final line: 4-2/3 IP, 6 H, 3 ER, 2 BB, 0 K.
Coming Up: I’ll be going to Game 2 of the series tomorrow at 1 p.m. Check back here for live updates from Yankee Stadium! I wasn’t able to post yesterday after the game because I was in class from 3:30 to 9 p.m. and then I worked on a project deep into the night. If you were in a similar situation, here’s a quick recap of what you missed. CC Sabathia and Curtis Granderson had huge days in a 5-0 win to complete the sweep of the Athletics. See if the NY Times thinks CC will win the AL Cy Young. On a side note, Dallas Braden had to leave after five innings with cramps. Alex Rodriguez and Scott Boras have officially split ties. According to SI, this happened a month ago when A-Rod sent Boras a letter. Alfredo Aceves suffered another setback and did not rehab with the Trenton Thunder last night. He’s visiting doctors in New York. It doesn’t look like he’ll be ready for the postseason, folks. Mark Teixeira cranked his 30th homer last night, a three-run bomb to right, to lead the Yankees to a 9-3 win and sole possession of first place. Tex is five for his last six with two homers, four RBIs and five runs scored. The Yankees won the claim on Ted Lilly last night, the final time for waiver trades to be completed, but the Dodgers pulled him back. This makes you wonder how confident Brian Cashman is in the staff. If I’m in his position, I’m looking to nab Lilly too. A.J. Burnett surely is feeling the pressure. Via The Journal News, the first three Yankees’ September call-ups are Greg Golson, Chad Moeller and Jonathan Albaladejo (unofficially). And for your entertainment, go ahead and click through to the seventh slide in this top 30 nicknames in MLB history slideshow (h/t Hot Clicks).